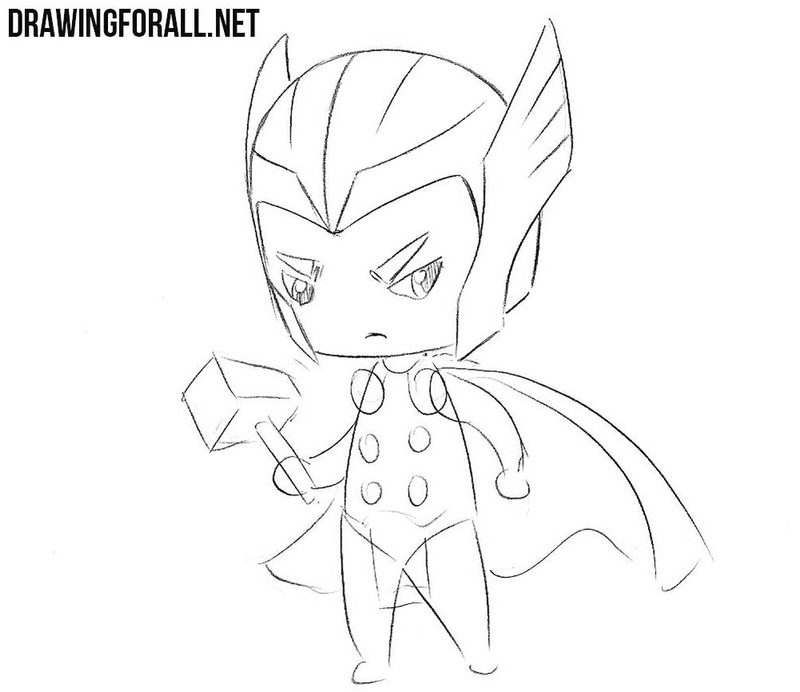 We love Marvel and the chibi, and so we draw many different characters from the Marvel Universe in chibi style. 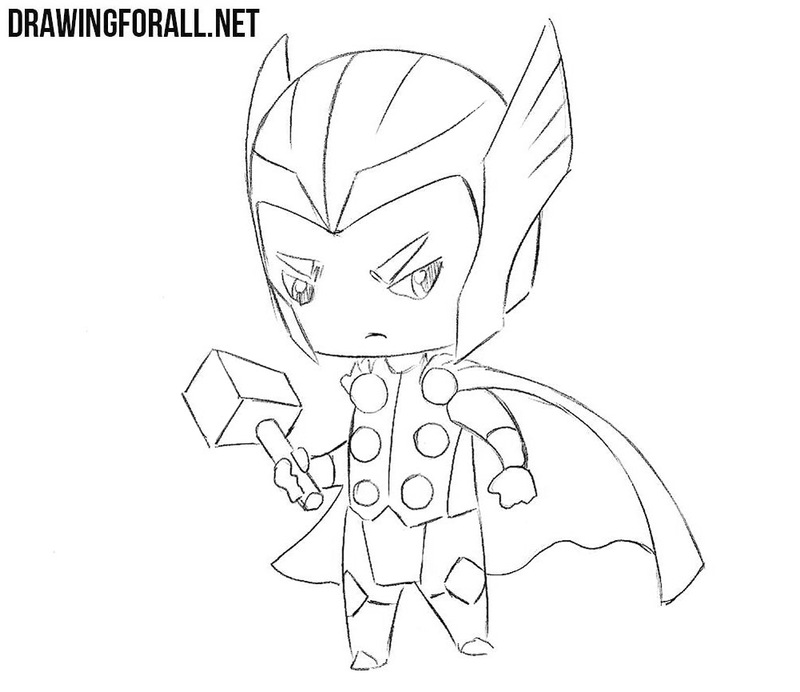 So, today we will show you ow to draw chibi Thor. 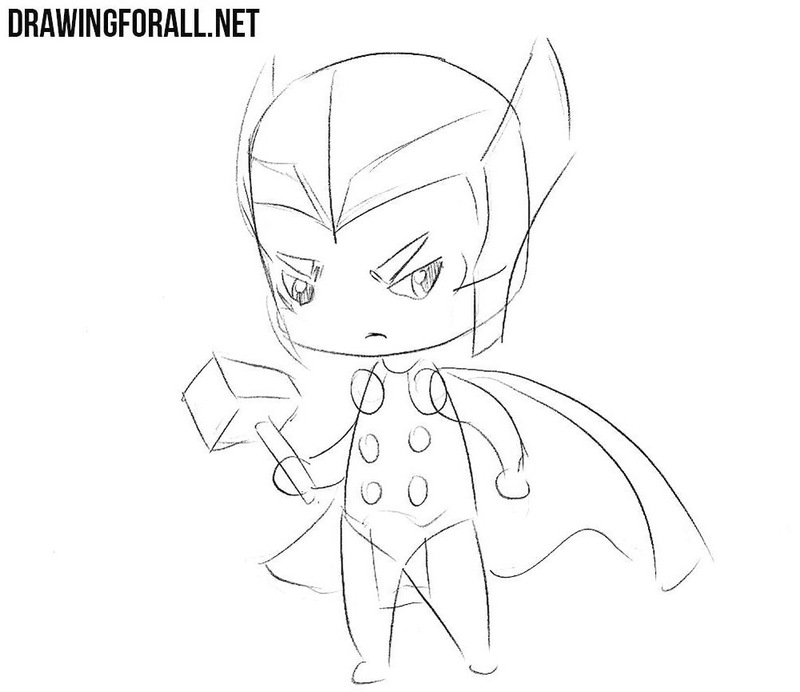 First of all sketch out the head of our chibi Thor in the form of a circle. Next, outline two intersecting lines as in our example. 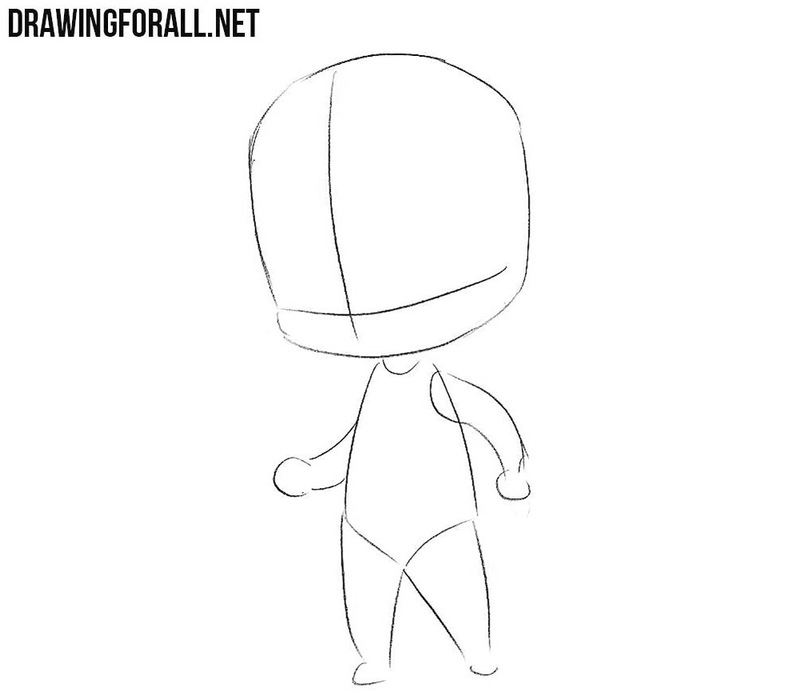 Now sketch out the torso, legs and arms with very simple geometric shapes. 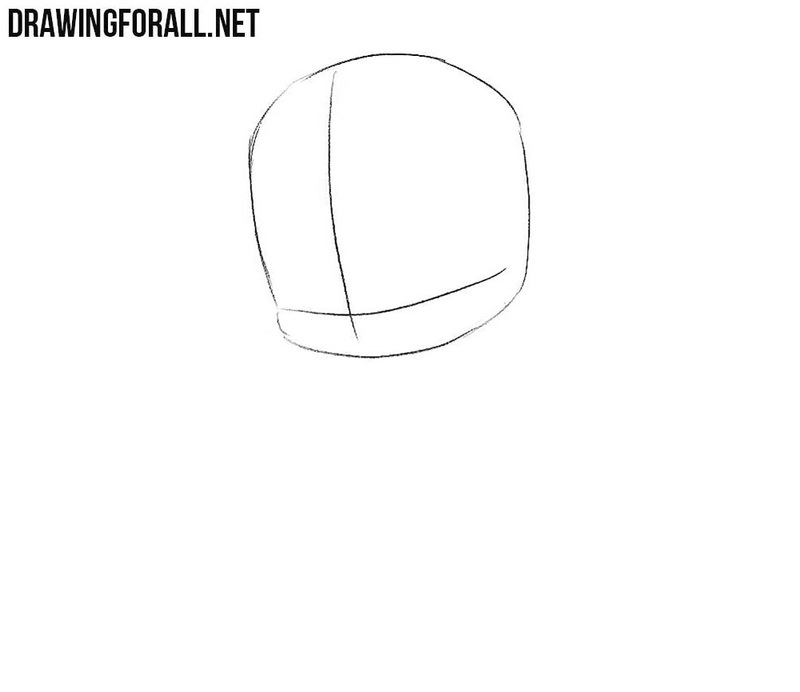 Using light lines sketch out the helmet, eyebrows, eyes and mouth on the head. 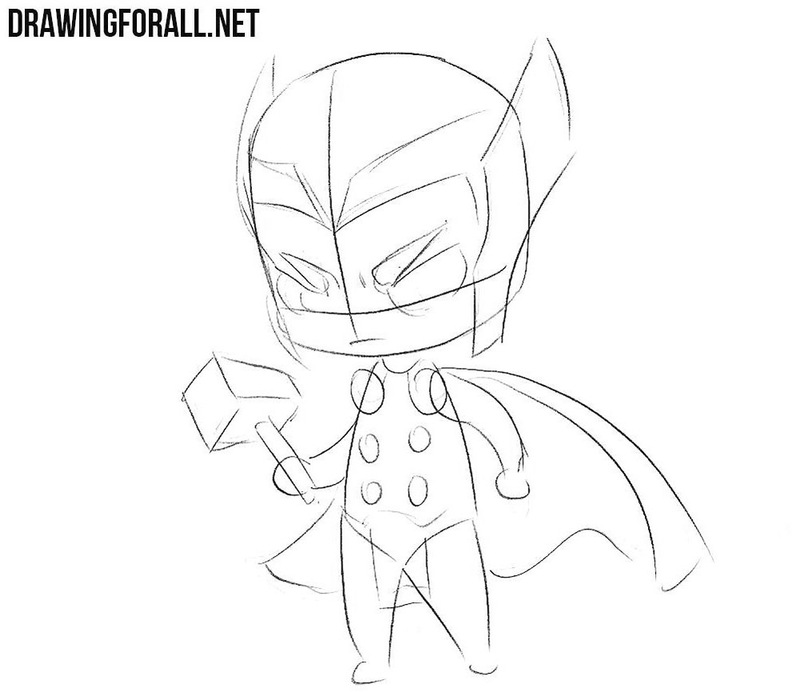 Next, sketch out the hammer in hand, the cloak and the details of the costume. Using clear and dark lines draw the details of the face and remove all unnecessary lines. Sketch out the eyes leaving glare in them. 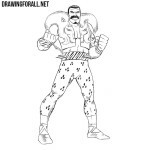 Now let’s move on to the torso and draw out all the details of the costume as in our example. 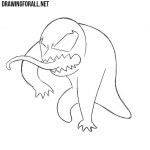 Now draw out the arms, the hammer in the hand and the legs. 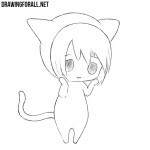 At the end of the step draw the outline of the cape and remove all the remaining guidelines. 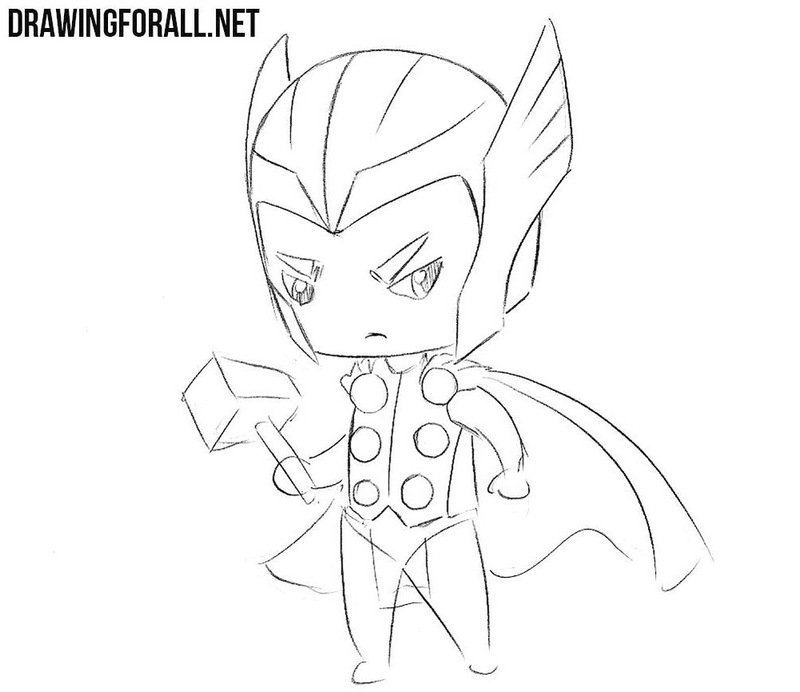 It was a lesson about how to draw a chibi Thor. 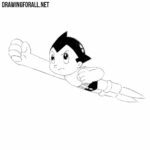 This lesson, like all our lessons, was divided into a few very simple steps in order to make the drawing process the simplest and most understandable. 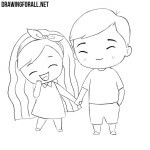 We will be very grateful if you subscribe to us on social networks and share our drawing lessons with your friends.